Flare pants have certainly been an on-going fashion trend this year and I’m totally here for it! 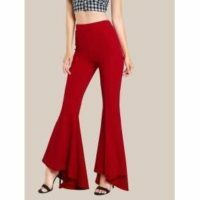 However, my only concern about flare pants would be the fact that I have to style most of them, with either heels or chunky platform shoes, to kind of give myself an extra lift from the ground. LOL! funny right? Honestly, I’m actually a 5’5 or 5’6, not really sure of my exact height but of course, you will not catch me rocking these high-waisted flared pants from Radical Behaviour in a pair of flats for a change! 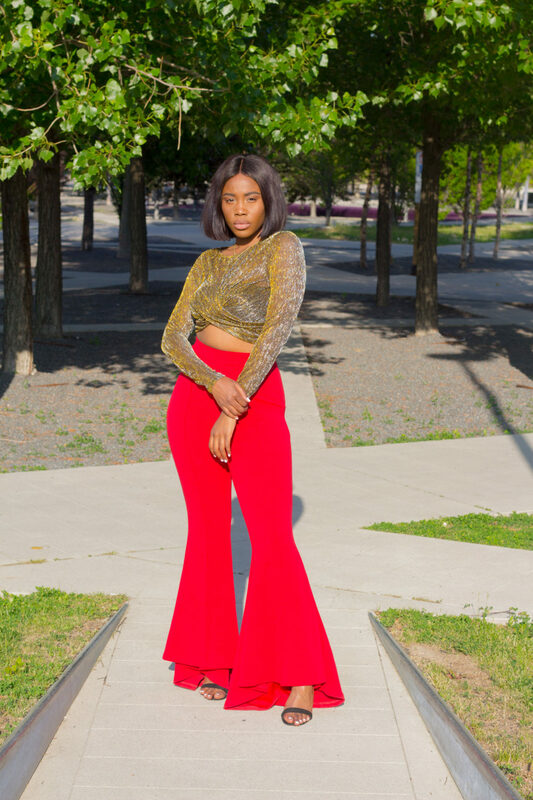 I decided to style the red flared pants in two ways, giving you a girlie yet classy boss babe vibe and then, a glamorous vibe for that elegant night out whether, it’s with your girl pals or a fashion event, your pick! 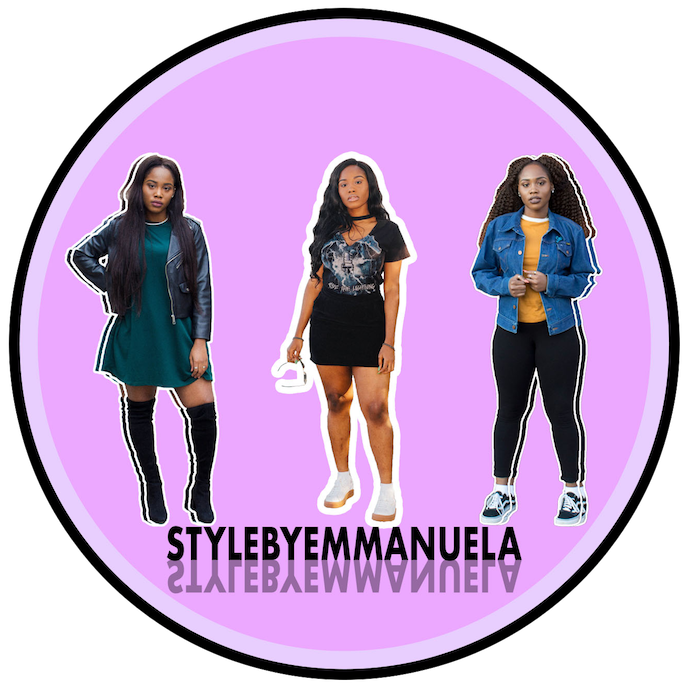 BUTTON FRONT TANK TOPS: The perfect summer clothing piece to mark your very own fashion statement during the sunny days. 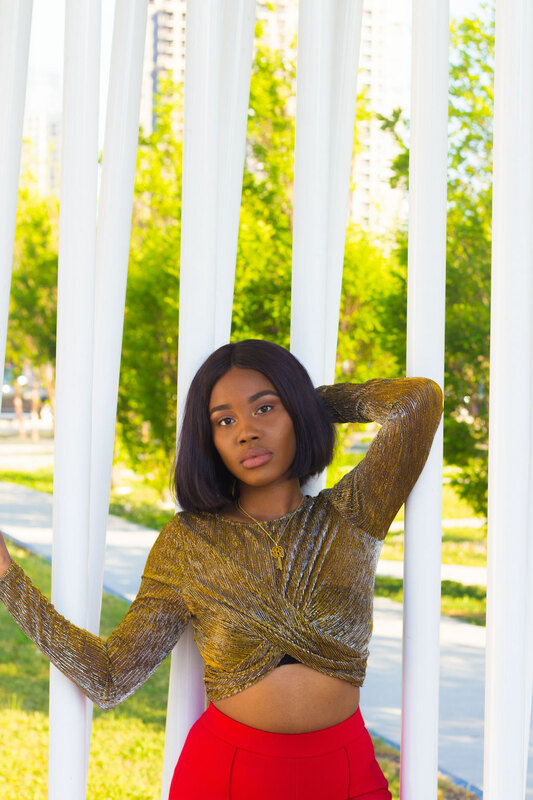 METALLIC CROP TOPS: The perfect clothing piece that will make you stand out from everyone else, despite the intrusion of your already captivating flared pants.